The GSD-1020S offers comprehensive Layer 2 to Layer 4 Access Control List (ACL) for enforcing security to the edge. It can be used to restrict network access by denying packets based on source and destination IP address, TCP/UDP ports or defined typical network applications. Its protection mechanism also comprises802.1X port-based authentication, which can be deployed with RADIUS to ensure the port level security and block illegal users. With the Protected Port function, communication between edge ports can be prevented to guarantee user privacy. Port Security allows to limit the number of users on a given port. The network administrators can now construct highly secured corporate networks with considerably less time and effort than before. 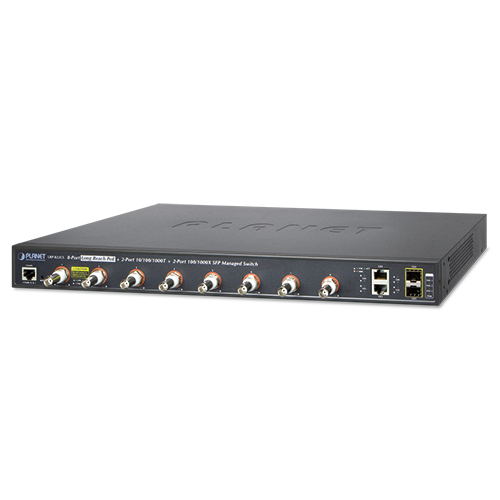 The GSD-1020S provides high-performance edge service and plug-and-play design for FTTD (Fiber to the desktop) solutions. FTTD service is fiber optic cabling with reliable, expandable and low-cost wiring architectures, and long-distance capability. It supports dual-speed, 100Base-FX and 1000Base-SX/LXSFP (small form-factor pluggable) fiber-optic modules to connect fiber access point. 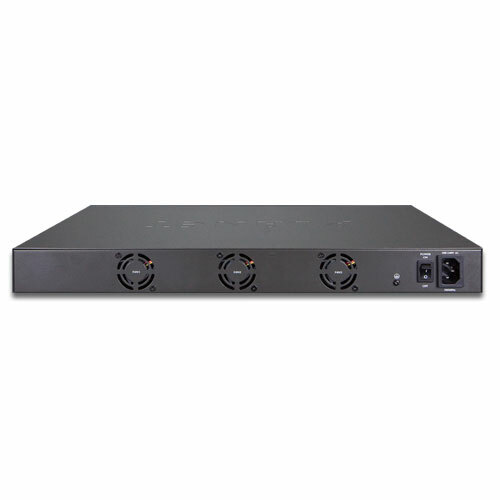 It utilizes a compact form factor which can be mounted in a 19-inch rack with optional rack-mounting kits and placed on desktop, with the flexibility to install in the communication closet or major computer room for SMBs. The GSD-1020S supports SFP-DDM (Digital Diagnostic Monitor) function that can easily monitor real-time parameters of the SFP for network administrator, such as optical output power, optical input power, temperature, laser bias current, and transceiver supply voltage. 2014-09-01 1.1 Add QR cord.